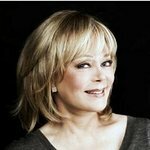 National Humanitarian Award winner, First Lady of Television, bestselling author, and Broadway producer Candy Spelling has been named vice chair of the board of directors at American Humane Association, the country’s first national humane organization and the only one dedicated to protecting both children and animals. Ms. Spelling has served on American Humane Association’s board since 2012 and in this new role she will help guide the work and policies of an institution that has been the leading voice in the humane movement since its founding in 1877. For her compassion in helping the nation’s children and animals, Ms. Spelling was honored in 2012 with the National Humanitarian Medal, American Humane Association’s highest honor. Ms. Spelling’s efforts on behalf of children and animals are well-known. She has worked with many organizations to assist needy children and their families, volunteered with animal rescue and shelter groups, is a judge for the American Humane Association Hero Dog Awards, and even enlisted the help of her own dog, Madison Spelling, who chaired a fund-raising event, “Bark for the Cure,” to benefit research into canine cancer. She was named “Ambassador for Tourism” for Los Angeles, joining Tom Hanks, Kobe Bryant and others representing the city for tourism. She was invited to join the Board of Directors for LA INC., the Los Angeles Convention and Visitors Bureau. Ms. Spelling also became a board member of the Los Angeles World Affairs Council. She is a founding board member of the Los Angeles Parks Commission and was instrumental in creating the first non-profit Parks Foundation in Los Angeles. She is a Commissioner Emeritus for the Board of Recreation and Parks for the City of Los Angeles, an active panel overseeing hundreds of public parks and recreational areas serving millions of people who annually visit the public areas. She is an active Board of Governors Member of LA’s Best, the after-school enrichment program that serves children in need through the city in partnership with the Los Angeles Unified School District, the City of Los Angeles and the private sector. Ms. Spelling has attained great success with her Tony Award-winning Broadway play, Promises, Promises, starring Kristen Chenoweth, and her Broadway hits, How To Succeed in Business Without Really Trying, Nice Work if You Can Get It, starring Tony Award winner Matthew Broderick and last year’s critically acclaimed After Midnight. She is a producer of the upcoming Color Purple revival opening on Broadway in December 2015. She has gained widespread acclaim for her New York Times best-selling book, Stories from Candyland, and her record-breaking two-part series on HGTV, Selling Spelling Manor, Candy’s insider tour of her famous 56-room Hollywood mansion that she and husband, television mogul Aaron Spelling, built and lived in for more than 20 years.